→ I BOUGHT A FLOWERING HYDRANGEA AT THE FLORIST’S OR IN A GARDEN CENTER, HOW SHOULD I TAKE CARE OF IT? Put your hydrangea in a well-exposed room away from direct sunlight, water it every 2 days and be very careful that the roots don’t sit in water, which can drown the root system. 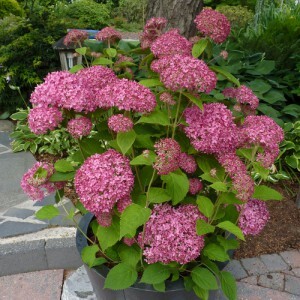 → MY POTTED HYDRANGEA HAS FLOWERED, CAN I PLANT IT IN MY GARDEN? 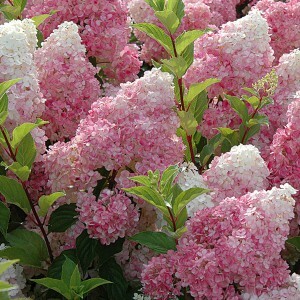 Of course, you can plant your hydrangea in the garden, preferably in semi-shade. First, prune your plant 20 cm above the pot, then put it in the garden in light soil mixed with erica soil and blond peat. Please note : If the Ph of your soil is too high, dig a hool 70 x 70 x 70 cm. Line the entire hole with a layer of fine plastic, making sure that there are holes in the bottom for drainage. Use half erica soil/ blond peat and half garden soil. 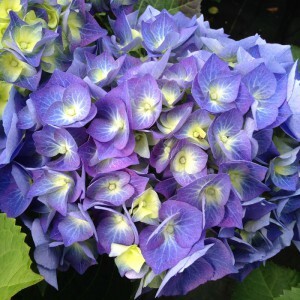 → I BOUGHT A BLUE HYDRANGEA, WHAT SHOULD I DO SO IT STAYS BLUE IN MY GARDEN? Only in a few parts in Brittany and Anjou you can keep the natural blue color, because the soil is more acid and contains a lot of slate. However, you can keep your hydrangea blue if you plant it in a hole in plastic as indicated above and if you add “Bleu de France” or sulfate aluminium to the soil that you mix in correctly. Please note : To keep your hydrangea blue every year, remember to spread at the foot of the plant : “Bleu de France”, “Sels d’Alun” or “Sulfate aluminium”, once or twice in the spring during the growing period. The dose : One tablespoon of “Bleu de France”, “Sels d’Alun” or “Sulfate aluminium” on sale at florist’s, in garden centers, or in retail stores. 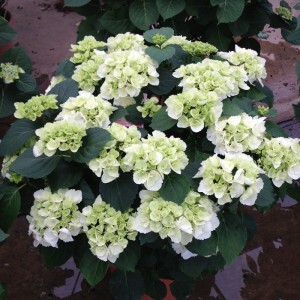 → I BOUGHT A GARDEN HYDRANGEA, HOW SHOULD I PRUNE IT? Paniculata and Arborescens are the only ones that don’t flower from the final bud. 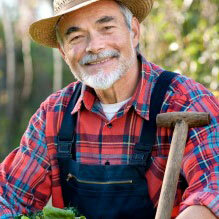 In January, prune each plant and leave branches only 15 to 20 cm long. When spring arrives, the plant will show growth on these stems which will provide abundant flowers in June and July. In the summer, water them regularly, preferably in the evening with tap or rain water. A hydrangea remains very ornamental during its different flowering stages. Sometimes their unexpected colors in autumn, well embellish your garden. Winter protection : keep the old flowers all winter long. They protect the plant from frost. From the end of February or in the middle of March, depending on the area, prune each branch, twice leaving 2 pairs of green buds only. Eliminate dead wood and branches that are too thin. Thank you for visiting our website and remember to choose a Sicamus hydrangea, which are easy to spot thanks to its labels and pink logo. Enjoy your gardening. See you soon.